Author: Vaibhav Bagaria, Farokh Wadia. Department of Orthopedics, Sir HN Reliance Foundation Hospital, Mumbai, India. A thorough understanding of the possible complications and why they happen is cornerstone of attempts in reducing them. This chapter focuses on how these complications can be classified, evaluated, prevented and managed in cases where in these happen. There are several ways in which these complications can be classified. One of the ways is to associate them with their cause and by doing this, one can help prevent them and formulate a strategy where in the cause and management is protocolized. The complications can be Fracture related; Related to choice of the implant; Routine operative and general complications. Previously used classification system of Boyd & Griffiths had poor inter and intra-observer reliability and were used commonly to describe fracture patterns rather than predict outcomes. Evans classification subsequently advanced our understanding about stable and unstable fracture patterns. But the most commonly used classification currently is the AO/OTA classification, which classifies IT fractures into three types: 31A1, 31 A2 and 31A3 with increasing instability as the grade increases. However, more important would be to classify them into two categories: 31A1.1 to 31A2.1 and 31A2.2 to 31 A3.3. The reason for this distinction as highlighted by Palm et al and Gotfried et al, is the quality of the greater trochanter and potential for a lateral wall fracture while inserting the sliding screw leading to a potentially unstable situation post-operatively. Lateral wall is defined as part of the femoral cortex distal to the vastus ridge. Several studies have found that an inter-trochanteric fracture with extension into the lateral wall either existing or produced during insertion of screw plate device, leads to an unstable situation that cannot be salvaged with a sliding compression screw plate device. The latter are often labeled as iatrogenic lateral wall fractures (ILWF). The support from lateral femoral wall is the key to success in sliding screw plate device to allow controlled compression and collapse at the fracture site. When the lateral femoral wall is fractured, the fracture line is parallel to the sliding vector of the sliding hip screw, which, as in the reverse oblique intertrochanteric fracture, allows the trochanteric and femoral head and neck fragments to slide laterally and the shaft to slide medially. The fracture complex subsequently disintegrates, with a high risk of failure. Palm et al in their series of 214 patients, found that a lateral wall fracture increases the risk of re-operation about 8 times, due to technical failure when a sliding hip screw was used. The bottom line is if there is a lateral wall or a greater trochanter fracture, sliding hip screw device should not be used. Until recent times, rotational stability of femoral head has been more or less neglected. With sliding compression screw devices, with single screw in the femoral head, the femoral head has been shown to be rotationally unstable especially with collapse and erosion of the neck with eventual cut out of the implant. To overcome this issue, many of the recent implants have added an extra screw incorporated within the plate design such as the PCP or the hybrid proximal femoral plate as well as the Inter TAN (Trochanteric antegrade nail) nailing system. Conventional teaching suggests that intertrochanteric fractures are reduced in internal rotation on fracture table. However, studies by Bannister et al and May et al show that up to 23% of intertrochanteric fractures reduce in external rotation. Excessive internal rotation can cause fracture gapping posteriorly which adds to destabilizing the fracture which already has postero-medial comminution. Another common error is to accept less than optimal reduction. The most common malreduction is a posteriorly sagging femur shaft with an anterior step off at the fracture site. This may not be reduced by closed means and Carr et al  have described an open reduction maneuver where the shaft is first pulled laterally with a bone hook around the shaft to disimpact the fracture and then using a lever to push the head and neck fragment posteriorly to align with the shaft. This simple reduction maneuver is important to achieve anteromedial stability so as to allow immediate mobilization without putting excessive load on the implant. Implant Choice and complications: Three chief categories of implant used for these fractures are sliding/ dynamic hip screw, Intramedullary nails and endo prosthesis. Dynamic Hip Screw & Medoff Plate: Cochrane review by Parker et al ( 3) have demonstrated the superiority of sliding hips screw in the management of the extra capsular neck fractures. In the review the studies included twenty-two trials (3749 participants) that compared the Gamma nail with the sliding hip screw (SHS). The Gamma nail was associated with increased risk of operative and later fracture of the femur and increased reoperation rate. There were no major differences between implants in wound infection, mortality or medical complications. Five trials (623 participants) compared the intramedullary hip screw (IMHS) with the SHS. Fracture fixation complications were more common in the IMHS group. Results for post-operative complications, mortality and functional outcomes were similar in both groups. Three trials (394 participants) showed no difference in fracture fixation complications, reoperation, wound infection and length of hospital stay for proximal femoral nail (PFN) versus the SHS. Intramedullary femoral nails: There has been an increase in the use of these devices in last decades up from 3% to 67% as observed by Anglen et al in their study (4). They have a distinct advantage over DHS when it comes to unstable inter trochanteric fractures. They however do have a complication set of their own which includes iatrogenic femoral fractures; difficult initial reduction and persistent thigh pain due to stress concentration around nail tip, varus angulation and secondary risk of femoral fractures. The classical indication for nailing is in managing the unstable patterns that include reverse obliquity fractures, transtrochanteric fractures, fractures with a large posteromedial fragment implying loss of the calcar buttress, and fractures with subtrochanteric extension. The reason for favoring nails in tis cases is based on biomechanical fact that since a nail is located closer to the centre of gravity and force transmission, the lever arm is shorter and there is less stress on the implant. They can thus resist higher forces across the medial calcar than what a sliding hip screw can. Intramedullary placement also prevents shaft medialization, which may commonly happen with unstable fracture patterns. While there are a variety of devices that can be included in this category, the two commonest devices used are Gamma nail (Stryker) and Proximal Femoral Nail ( AO Synthes). The Gamma Nail was introduced before the PFN, which in comparison to a GN had a longer length, had two proximal screws and had a smaller diameter and could thus be inserted un reamed. The addition of an additional anti rotation screw was thought to decrease the probability of screw cut outs. The study by Schipper et al however did not find any difference in the cut out rates. It was then hypothesized that the so-called ‘knife effect’ counterbalances any advantage that the derotation screw offers in preventing the cutouts. The ‘ knife effect’ or the ‘Z effect’ originally described by Werner et al refers to development of condition following fixation with PFN in which the superior smaller screw migrates medially and the distal larger screw migrates laterally. It is believed that the medial cortex communition and a varus reduction is a contributory factor in this phenomenon (5). The recent Cocharane database review 2014 that compare the various different types of intramedullary nails suggest that there is insufficient data to clearly state whether there are any outcome difference with the use of different types of intramedullary devices. It also states that since there is a clear evidence of superiority of the sliding hip screw over the intramedullary nail in the management of extra capsular fracture, further studies on different designs of these nails should take a back seat and a comparative trial for any new design should be made against the clearly superior sliding hip screw . Primary Endo Prosthesis: A certain section of orthopedic surgeons believe that the primary arthroplasty for these procedures may help in early mobilization and consequently reduce mortality and morbidity associated with prolonged immobilization especially pulmonary atelectasis pressure sores and venous thromboembolism. While this rationale may not be applied to all cases, there is a small set of fracture patterns and patient groups in which the arthroplasty can play a role. In most cases they are usually the salvage procedure after secondary complications of conventional fixations. Hassankhani et al (7) in their study of 80 patients found hemiarthroplasty as a superior alternative with reduced rates of complications and patients in elderly patients who had unstable intertrochanteric fractures. The key techniques that need to be remembered specifically for these cases are 1. Ensuring that the prosthesis is inserted or sunk to a point on stem that has been marked explicitly before insertion. It is important that the lesser trochanter as the land mark may not be an option in many of these cases. This helps in reducing dislocations and ensuring limb length symmetry. 2. Use of cement in cases of wide medullary canal and appropriate precautions during cementing to be taken. 3. Reconstruction of lesser trochanter with cables after the prosthesis is fixed. 4. Greater Trochanter reconstruction with use of K wires, cannulated screw or using tension band principle. If done well, the studies by Sancheti et al a has revealed that results are comparable to fracture fixation and the only complication is of bed sore . This still remains the commonest cause of failure of the implant-fracture construct. It is an accepted almost dogmatic mandate that the tip apex distance correlates directly with implant cut-out, with higher the TAD, the greater is the risk of cut-out. This applies definitely for the sliding hip screw and has been shown recently to apply for cephalomedullary devices too. 1.Use of Tip Apex distance (TAD)& Parker ratio: Baumgaertner et al [9,10] first described the concept of TAD. This is a useful indicator for an optimal screw placement spatially irrespective of whether a plate or a nail is used. It is considered one of the most important indicators of hardware placement in most studies done on the failure of devices. Conventional thinking propagated a slight posterior and inferior placement of screw based on the philosophy that it gives more area for the screw to cut out. However the studies have shown that this increases the TAD and can be actually detrimental. Based on the concept it is agreed that a screw placed as central and as deep without perforating the head (within 10 mm of subchondral bone) is the ideal placement. Numerically speaking trauma surgeons should aim for the TAD of around 20 mm, generally the cases with TAD less than 25 mm have good outcomes. This is a mathematical measurement of screw placement within the femoral head and is a ratio of AB to AC multiplied by 100 in both AP and Lateral view. Parker in his original series of 225 patients with screw cutout in 25 found that on the AP view the average ratio was 45 for union and 58 for cut-out and it was 45 for union and 36 for cut-out on the lateral view. 2. Assessment of the lateral wall: If there is a lateral wall fracture then the choice of implants becomes crucial. These fractures could either be reverse obliquity inter trochanteric fractures or trochanteric fractures. In these fracture the medialization of the femoral shaft with a lateral migration of proximal fragment occurs. If these occur there is a high chance of mal reduction, non union and screw cut out. Intramedullary devices in these cases are most suitable. Sliding hip screw when used must be either a ‘medoff plate’ or in conjunction with trochanteric stabilization plate or in some cases locking plates. 3.Entry Point: A good entry point for trochanteric nails is slightly medial to the tip of the greater trochanter. This helps prevents varus angulation. It is also important that while reaming the proximal part the reamers are well inside the proximal part past the entry point so as not to enlarge the entry point laterally. 4. Respecting the femoral Bow: One of the commonest complications of intramedullary nail is the iatrogenic fracture created during the nail insertion. It is important to be aware of the femoral bow, to check fluroscopically if the nail is hitting against the anterior cortex and not to hammer the nail especially in the osteoporotic patients. 5. Avoiding Varus Angulation: Any varus angulation increase the lever arm, increasing the stress on the implant predisposing it to failure. A good way to judge this intra operatively is to look at relative positions of tip of the GT and the centre of femoral head. For a good alignment they should be co planar. If the GT tip is higher than the centre of femoral head, it is a varus reduction and vice versa if the tip is higher. In most cases use of 130 degree nail and sliding screw is appropriate but can vary from person to person. 6. Avoiding Fracture distraction: This is especially true with the use of nails in which it is not uncommon to see malrotation and distraction. If the device is fixed in a distracted position, there is insufficient osseous contact and some of the load that would have been normally borne by this contact is entirely borne by the device and places it in vulnerable position prone to fatigue failures. The nail tends to break at its weakest point, which is the largest apertures for the screw in the nail. To avoid distraction, it is important to release traction before locking and also confirming the same on image intensifier. Non-union is very rare after inter-trochanteric fractures and has been reported in 1% of older population. The reasons for non-union are poorly understood as the fracture affects metaphyseal bone with huge cancellous surfaces. The speculated reasons include delayed treatment, unfavorable fracture pattern, poor bone quality, and suboptimal internal fixation. While salvage total hip replacement is the treatment of choice for elderly patients with non-union, the technique is more difficult and often special design implant such as calcar replacement prosthesis, extended neck stem or long stem implant is required. Haidukewych et al  described good results in a series of 60 patients with failed intertrochanteric fractures that underwent revision to total hip replacement or bipolar hemiarthroplasty. A total of five reoperations were performed: two patients had a revision, one had a rewiring procedure because of trochanteric avulsion, one had late removal of trochanteric hardware, and one had debridement of fat necrosis. One patient had two dislocations, both of which were treated with closed reduction. They reported a survival rate of 100% at 5 yrs and 89% at 10 years. In younger patients, revision fracture fixation should be attempted. Dhammi et al  have reported a 100% union rate in 18 patients at a mean follow-up of 5.6 months with excision of pseudarthrosis, freshening of bone edges, stable fixation with a 135 degree DHS, valgization and bone grafting. Similarly Vidyadhara et al reported lateral closing wedge osteotomy with DHS fixation that resulted in union, with improvement in Harris hip scores from 34 to 89 in seven patients. Breakage of cephalomedullary implant is a rare but serious complication and has been reported to have an incidence of 2.9% in a series of 453 patients by Von Ruden et al. In this series, the breakage occurred on an average of 6 months post-operatively. In majority, the cause was delayed or non-union due to insufficient initial reduction of the fracture. Type A femur has a small metaphysis, thick cortex and high narrowed isthmus. Type C femur has wide metaphysis, thin cortex and straight/varus curvature of diaphysis with wide isthmus. There is a significantly higher risk of peri-prosthetic fracture in Type C femurs, especially intra-operative perforation with the use of long cephalomedullary device in a varus curvature femur. Peri-prosthetic fractures are otherwise common around the distal interlocking screw of a cephalomedullary device. Marmor et al  in a biomechanical study of eighteen synthetic femora compared stiffness and load to failure of three nail lengths (short, extended short and long) and found that the axial stiffness was significantly higher for short nails compared to long nail design whereas extended short nail exhibited a significantly higher failure load than short nail constructs. All peri-prosthetic fractures occurred around the distal interlocking screw irrespective of nail length. F. General Operative & Medical Complications: Since majority of these fractures occur in elderly patients who have co morbidities and age related issue, the medical complications in pre and peri operative period is a major concern. It has been reported that there is 20% mortality in perioperative period in the patient who have had unstable fractures. Venous Thrombo Embolism (VTE): Venous thrombo embolism which includes both deep vein thrombosis and pulmonary embolism is a relatively common occurrence after hip fracture surgery (17). There are various rates of incidence with significant variations depending upon the co morbidities, pre operative risk factors, and even the racial composition. In view of the preventable nature of the disease, routine pharmacologic thromboprophylaxis is recommended by many consensus groups. Although there is still controversy about the role of universal thrombo prophylaxis, there is large body of evidence that unequivocally suggests that the thrombo prophylaxis should be given to patients who were immobile for greater than 72 hours before the surgery, those who had obesity, history of malignancy and in those whom the surgery lasted more than 72 hours (18). Blood Loss: Since majority of these fracture occur in the geriatric age group, it is very important that the blood loss be monitored and appropriately replinshed after the surgery. In many cases a pre operative transfusion to build up the hemoglobin is also required. Various studies have tried to quantify the amount of surgical blood loss that occur with various techniques. 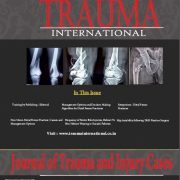 In one of the larger studies by Zhang et al  in which they calculated the obvious and hidden blood loss in 216 cases of inter trochanteric fracture treated by PFN and 168 cases treated by DHS, they found that PFN group had a mean loss of 48.9 +/- 2.8 ml during the procedure, an obvious blood loss of 62.3 +/- 3.8 ml and a hidden blood loss of 385 +/- 6.2 ml. In contrast the blood loss intra operatively during DHS fixation was 124.9 +/- 7.8 ml, the obvious blood loss was 73.9 +/- 4.7 ml and the hidden blood loss was 243.4 +/- 6.3 ml. Osteoporosis associated complications: One of the commonest cause of both the intertrochanteric fracture and also its complication post surgical fixation is the presence of osteoporosis. In a study done by Bonnaire et al (20) the incidence of the screw cut outs have been linked directly to the presence of osteoporosis and decreased bone density at the bone trabeculae. Compliance: It is very important that appropriate post surgery policy is formulated with regards to rehabilitation, weight bearing and regaining the bone strength. Associated fractures: While treating intertrochanteric fractures it is also important to rule out any associated injuries. They may be associated with distal radius fracture and vertebral body collapses. Apart from a thorough initial assessment it is also important to take adequate precaution while positioning the patients. Wound Infections – Superficial and Deep: As is with any surgery there can be wound infection. This may be related to patient factors and general immunity of the patient, factors related to operating environment and also the duration of the surgery. It is important to distinguish between a superficial and deep infection. While local wound dressing and antibiotics may treat the superficial infection, a deeper infection may require repeated washouts, antibiotic beads and occasionally implant removal. Hematoma formation: Many of the patients who suffer from this type of fracture are on anti coagulants. In view of the high incidence of the VTE in these surgery, many of these patients are also thromboprophylaxysed, increasing the chances of hematoma formation post operatively. It is thus important to ensure that a meticulous hemostasis is obtained intra operatively and local wound inspection is diligently maintained to pick up any early signs of development of a local hematoma. Building on the bone mass and preventing further fractures. 1. Kim WY, Han CH, Park JI, Kim JY. Failure of intertrochanteric fracture fixation with a dynamic hip screw in relation to pre-operative fracture stability and osteoporosis. Int Orthop 2001;25: 360-2. 2. Carr JB. The anterior and medial reduction of intertrochanteric fractures: a simple method to obtain a stable reduction. J Orthop Trauma 2007;21(7):485-489. 3. Parker MJ. Cutting-out of the dynamic hip screw related to its position. J Bone Joint Surg Br. 1992 Jul; 74(4):625. 4. Anglen JO, Weinstein JN; American Board of Orthopaedic Surgery Research Committee. Nail or plate fixation of intertrochanteric hip fractures: changing pa ttern of practice. A review of the American Board of Orthopaedic Surgery Database. J Bone Joint Surg Am 2008;90:700-7. 5. Werner-Tutschku W, Lajtai G, Schmiedhuber G, et al. 2002. [Intra- and perioperative complications in the stabilization of per- and subtrochanteric femoral fractures by means of PFN]. Unfallchirurg 105:881–885 . 6. Queally JM, Harris E, Handoll HH, Parker MJ. Intramedullary nails for extracapsular hip fractures in adults. Cochrane Database Syst Rev. 2014 Sep 12;9. 7. Ebrahim Ghayem Hassankhani, Farzad Omidi-Kashani, Hossein Hajitaghi, Golnaz Ghayem Hassankhani. How to Treat the Complex Unstable Intertrochanteric Fractures in Elderly Patients? DHS or Arthroplasty. Arch Bone Jt Surg. 2014;2(3):174-1 . 8. 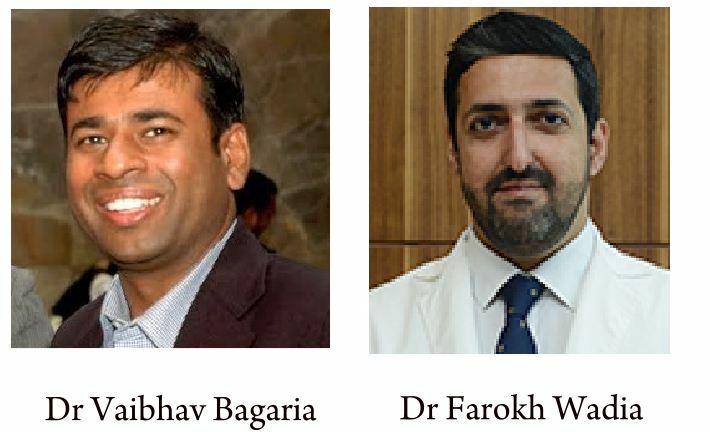 Sancheti KH, Sancheti PK, Shyam AK, Patil S, Dhariwal Q, Joshi R. Primary hemiarthroplasty for unstable osteoporotic intertrochanteric fractures in the elderly: A retrospective case series. Indian J Orthop. 2010;44(4):428–34 . 9. Baumgaertner MR, Curtin SL, Lindskog DM, Keggi JM. The value of the tip-apex distance in predicting failure of fixation of peritrochanteric fractures of the hip. J Bone Joint Surg Am. 1995;77:1058-64. 11. Nikoloski AN1, Osbrough AL, Yates PJ. Should the tip-apex distance (TAD) rule be modified for the proximal femoral nail antirotation (PFNA)? A retrospective study. J Orthop Surg Res. 2013 Oct 17; 8:35. 12. Haidukewych GJ, Berry DJ. Hip Arthroplasty for Salvage of Failed Treatment of Intertrochanteric Hip Fractures. J Bone Joint Surg Am, 2003 May; 85 (5): 899 -904 . 13. Dhammi I K, Jain A K, Singh A P, RU, Mishra P, Jain S. Primary nonunion of intertrochanteric fractures of femur: An analysis of results of valgization and bone grafting. Indian J Orthop 2011;45:514-9. 14. Von Rüden C, Hungerer S, Augat P, Trapp O, Bühren V, Hierholzer C. Breakage of cephalomedullary nailing in operative treatment of trochanteric and subtrochanteric femoral fractures. Arch Orthop Trauma Surg. 2015 Feb;135(2):179-85. A Case Series Study. Chang Gung Med J 2012;35:345-53 . 16. Marmor M, Elliott IS, Marshall ST, Yacoubian SV, Yacoubian SV, Herfat ST.
Biomechanical comparison of long, short, and extended-short nail construct for femoral intertrochanteric fractures.Injury. 2015 Mar 10: S0020-1383(15)00139-4. 17. Culver D, Crawford JS, Gardiner JH, et al. Venous thrombosis after fractures of the upper end of the femur. A study of incidence and site. J Bone Joint Surg Br 1970;52:61–9. 18. V Bagaria, N Modi, A Panghate, S Vaidya. Incidence and risk factors for development of venous thromboembolism in Indian patients undergoing major orthopaedic surgery: results of a prospective study. Postgrad Med J 2006;82:136–139 . 19. Zhang P, Xue F et al. Clinical Analysis of obvious and hidden blood loss in inter trochanter fracture patients treated with proximal femoral nail anti – rotation and dynamic hip screw. Journal of Peking Univ (Health Science) Vol 44. No 6. Dec 2012. 20. Bonnaire F, Weber A, Bosl O, Eckhardt C, Schwieger K, Linke B. “Cutting out” in pertrochanteric fractures–prob- lem of osteoporosis. Unfallchirurg 2007;110:425-32.